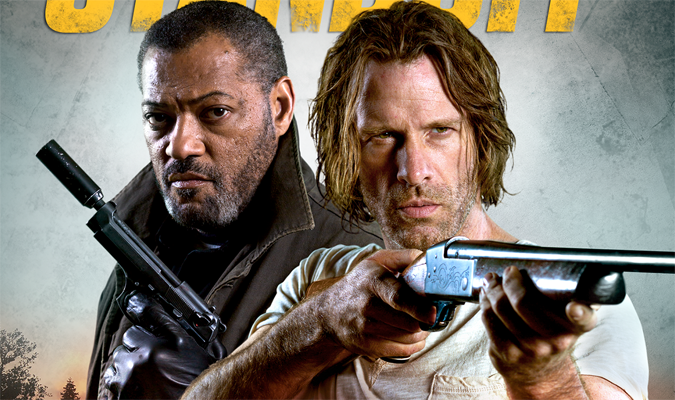 Academy Award nominee Laurence Fishburne (Best Actor, What’s Love Got to Do with It, 1993), three-time Golden Globe nominee Thomas Jane (Best Actor in a Television Series, TV’s “Hung,” 2010, 2011, 2012) and newcomer Ella Ballentine (The Captive) star in the intense action-thriller Standoff, available on Blu-ray (plus Digital HD), DVD (plus Digital) and Digital HD on April 12 from Lionsgate. With “bursts of action” (Blu-ray.com) and pulse-pounding twists and turns, the writer of Cell and Delirium delivers this ultimate story of redemption. 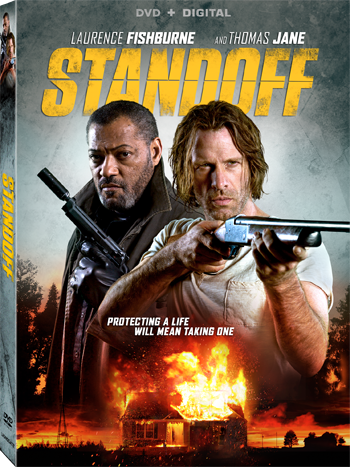 Standoff is currently available On Demand and will be available on Blu-ray and DVD for the suggested retail price of $24.99 and $19.98, respectively. 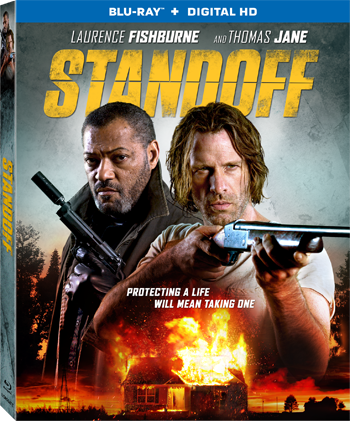 Carter (Jane) is a troubled veteran who gets a chance at redemption by protecting a 12-year-old girl from a deadly assassin (Fishburne) after she witnesses a murder. Holding a shotgun with a single shell, he engages in physical and psychological warfare in a desperate fight for the girl’s life.